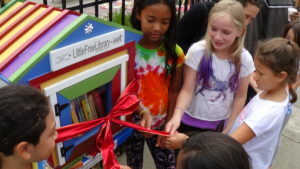 AMF joined stewards from all across the nation who are bringing Little Free Libraries into their communities. 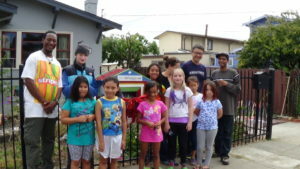 Thanks to a generous grant from the Little Free Library program, AMF was able to bring a multi-lingual library to the East Oakland area. 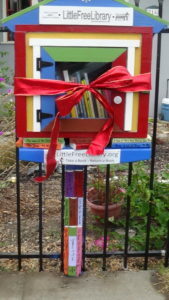 If you’d like to donate to AMF to sponsor a purchase of books for our Little Free Library, please donate to us today. 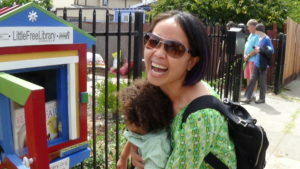 East Oakland hosts a diverse community of readers who read books in English, Spanish, Cantonese, Vietnamese, and many other languages. AMF held a grand opening and a community book faire event where it provided free books and gifts to young readers. Next Post Welcome Pachas Pajamas! !